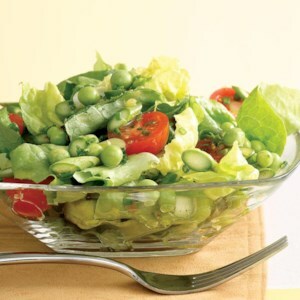 Find healthy, delicious pea salad recipes, from the food and nutrition experts at eating well. 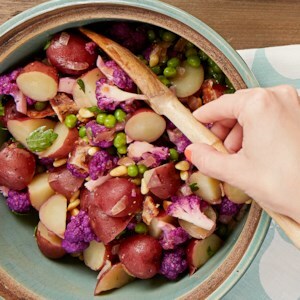 Your classic potato salad gets a bit of an update with the addition of crisp-tender cauliflower and fresh peas. 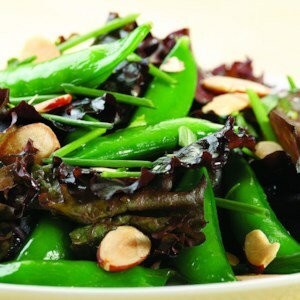 Topped with a vinegar-mustard dressing, crumbled bacon and toasted pine nuts, this dish is the perfect choice for a summer barbeque. 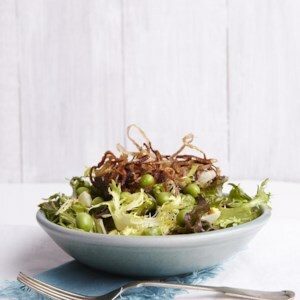 This simple spring salad recipe combines red leaf lettuce and frisee with fresh peas and crispy fried shallots tossed with a light tarragon-infused vinaigrette dressing. 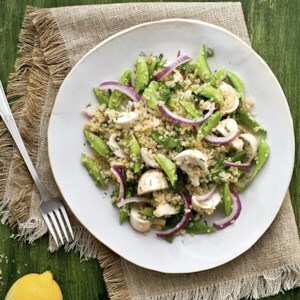 The fried shallots give this salad an out-of-this-world flavor. 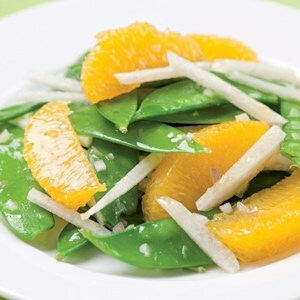 And compared with store-bought fried onions, they have half the calories and a fraction of the saturated fat and sodium. 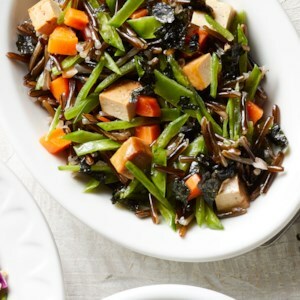 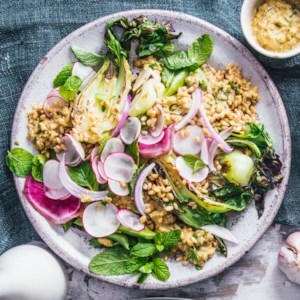 You get two sides in one with this dish--whole-grain barley along with crisp matchsticks of vitamin- and fiber-rich snap peas. 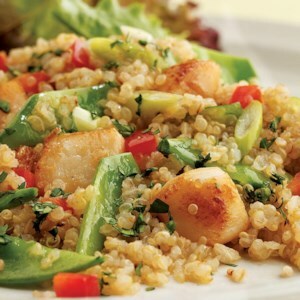 Serve with roasted or grilled salmon or chicken. 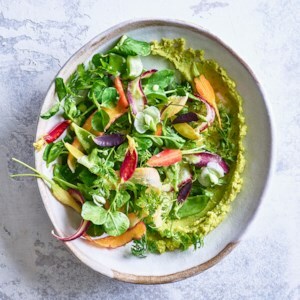 As delicious as it is beautiful, this spring pea salad recipe is a potluck or dinner party stunner. 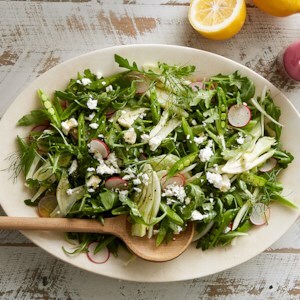 Assemble the salad and dress just before serving--or serve the dressing next to the salad for people to drizzle. 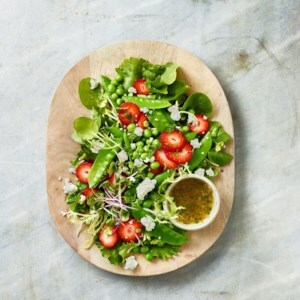 The tangy champagne vinaigrette balances the grassy sweetness of the peas and fruity pop of the berries. 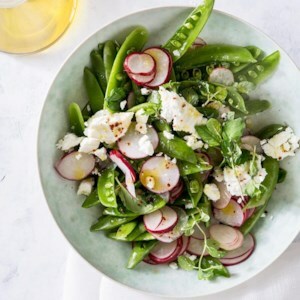 This stunning spring salad, full of peppery radishes, sliced celery, celery leaves and crunchy snap peas, is perfect for entertaining. 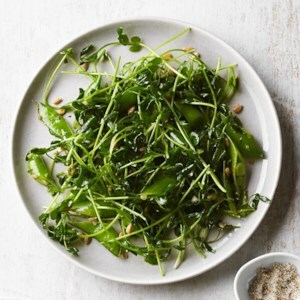 If you grow your own celery, you'll have plenty of leaves to work with. 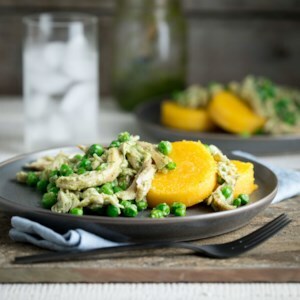 But we found that most store-bought celery yielded enough leaves for this recipe if you combine the dark outer leaves with the pale yellow inner leaves at the heart. 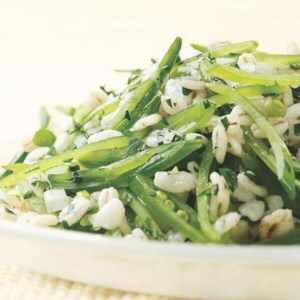 If you can't collect enough celery leaves, make up the difference with extra parsley. 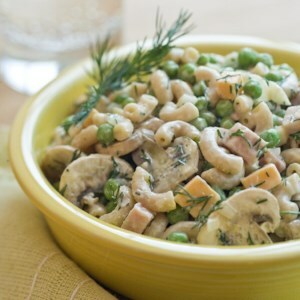 The results will still be delicious. 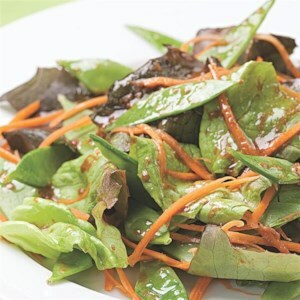 Here's a salad where we've combined two stars of the spring garden, asparagus and peas. 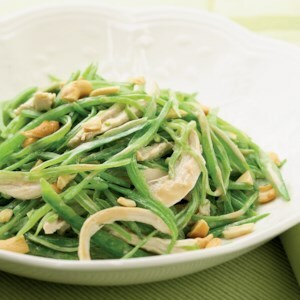 Since the asparagus goes into the mix raw, you'll want to look for the freshest, most tender spears you can find and slice them into very thin rounds.